Reviews: What do the guests think? Who is Slow Tours Copenhagen? A private guided hike in the footsteps of the kings through Jægersborg Deer Park close to Copenhagen, Denmark. Do you want to experience something different? And wouldn’t it be nice to leave the city, relax and exercise while you at the same time experience fragments of Denmark’s history close up? Try this pleasant guided slow travel tour in the old royal forest north of the capital Copenhagen. 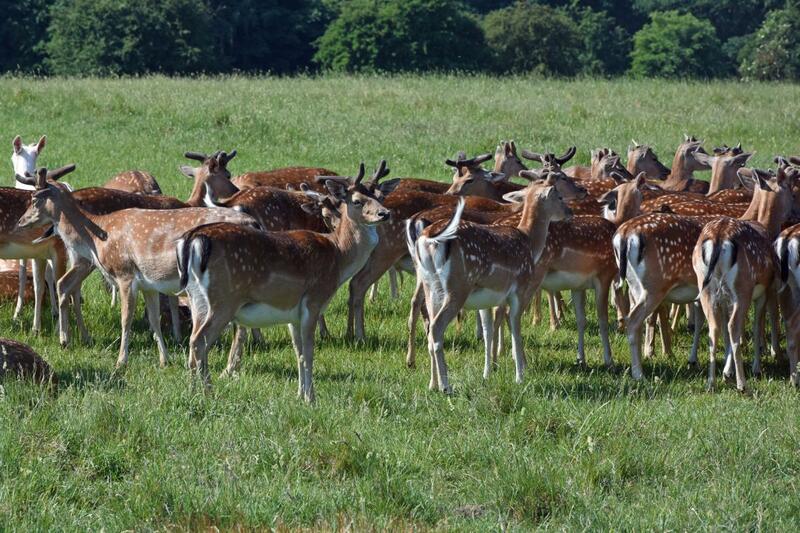 Join this light hike in Jægersborg Deer Park (in Danish: Dyrehaven), the old royal forest. One of Denmark’s 7 UNESCO World Heritage sites is located in The Deer Park: The par force hunting landscape in North Zealand. You get to explore the paths and glades of the old hunting system which were set by one of the absolute kings of Denmark 350 years ago. The king controlled the nature so it became easy to practice the par force hunting, his passion. More than 2,000 free-range wild deer live in The Deer Park. As we walk through the less visited paths you get a unique change to look lots of deer right in the eyes. The deer are too a great photo opportunity. And as this is a true slow travel hike we will take our time to watch the deer. In the centre of the well-tended forest is The Hermitage Royal Hunting Lodge (in Danish: Eremitageslottet). The beautiful Baroque hunting lodge thrones on a small hill and from here there is a fine view of both Sweden and The Hermitage Plain (in Danish: Eremitagesletten). We take a nice break here and have a snack (included) and a chat and you will experience the famous Danish ’hygge’. During the hike you will also experience burial mounds and the landscape formed by the Glacial Age. 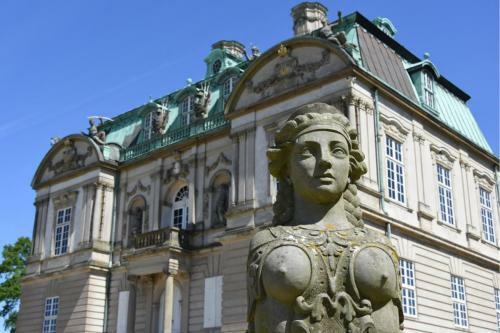 And you will hear about Denmark’s first soccer match; a buried treasure; a duel over offended honour; and of course the world’s oldest, still-existing amusement park, Dyrehavsbakken. I will show you places and tell you stories about The Deer Park that even many Danes do not know. But you can also relax and recharge while walking. This is a slow travel tour so let your thoughts drift and sense nature. Look at the deer, hear the twittering birds and feel the sun and wind – and maybe rain – on your body. The light hike gives you the opportunity to experience both a UNESCO World Heritage site and relax and exercise in the nature close to Copenhagen. The hike is 7 km/4.5 miles in an easily accessible terrain. Exercise, relax and recharge – we walk at a leisurely pace suitable for most people. 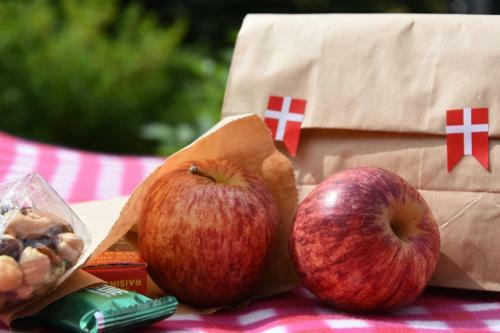 Tour price: 2,050 Danish kroner ($ 320) for up to 6 people. Including a snack bag and water. the tour will run no matter how the weather is. 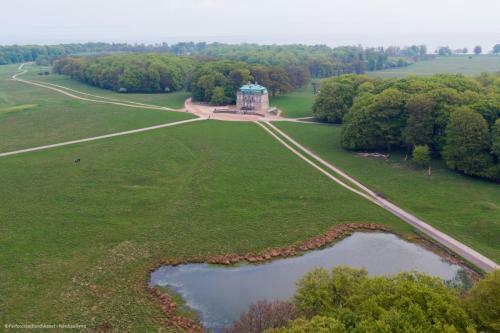 Combine the hike in Jægersborg Deer Park with a private guided tour through the architecture designed by the Danish architect Arne Jacobsen. The price for both tours is 2.450 Danish kroner ($ 382). That is for up to 6 people and when the tours are in continuation. There is a break for lunch or coffee (not included) between the 2 tours. Notice, you will not visit the interior of The Hermitage Royal Hunting Lodge on this tour. Access to the Hunting Lodge is only on prebooked, guided tours. Please contact me if you are interested in a hike that can be combined with a guided tour inside The Hermitage Royal Hunting Lodge (Saturdays at 3 p.m., June-August). Are you not interested in a private tour? Now and then I do an open, public hike in The Deer Park. Do you want to enjoy the Copenhagen area at a slow pace?